Synthetic nitrile rubber. 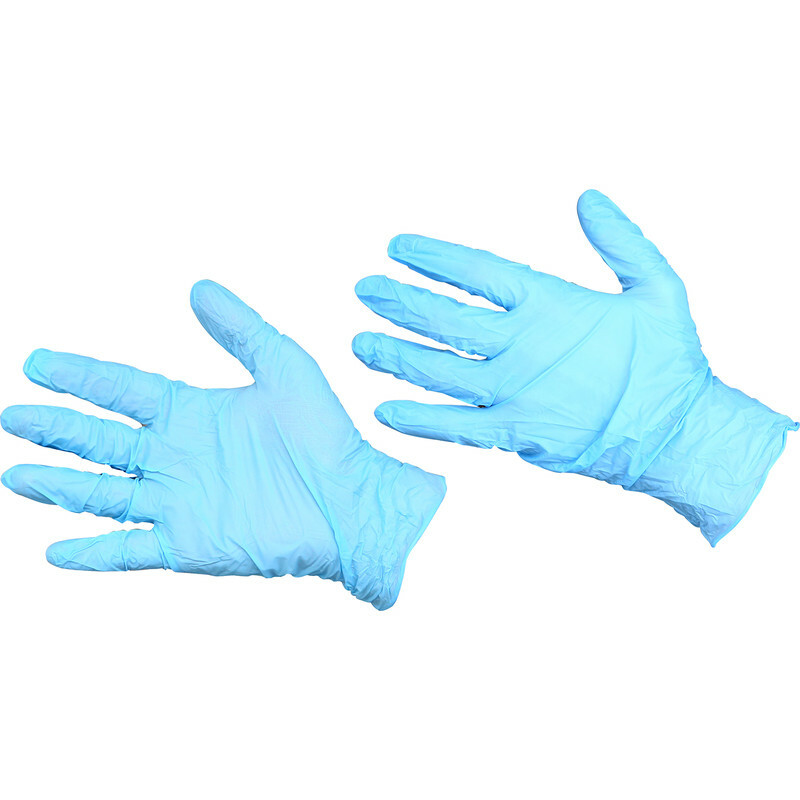 Eliminates risk of allergic reaction normally associated with latex gloves. Conforms to EN 374, EN 455. Powder Free Nitrile Disposable Gloves X Large (100 Pack) is rated 3.9 out of 5 by 49. Rated 3 out of 5 by dougoutcanoe from Comfy and tactile but still a little delicate. Easy to wear. Easy to feel the work. They tear too often in use. Rated 2 out of 5 by Bee22 from Not strong enough Previous Nitrile disposable gloves purchased from Toolstation were much better value for money. These gloves are far too flimsy. Rated 4 out of 5 by Oldone from If as good as previous products all will be well. Not tried these yet. Have a few of my previous box to use. If this different make is as good I'll be very pleased. If the system allows I'll update in due course. Rated 5 out of 5 by Johnt58 from Does the job. I use these for a range of jobs around the house and in the garage. Very useful for household chores and cleaning bikes and cars. Pretty hard wearing too. Rated 5 out of 5 by John 1964 from Just the job I have large hands and needed disposable gloves to use, then dispose of. These were ideal, as they were large.......and disposable!